"We are going to miss you very much. We loved your sense of..."
"THANK YOU! Thank you for your Military service to our..."
"REST IN PEACE BOSS! It was a true pleasure to know this..."
Kennith L. Hunt was born on May 26, 1947, to Leonard and Glenda Hunt of Drum, Kentucky. He departed this life on January 29, 2019. Ken leaves behind his life companion, Tomie Pistro, and three sons, Jeffrey, Kenneth with wife Katy, and Kevin with wife Kerri. He also leaves behind four grandchildren to include, Sophia, Kennith, Alexander, and Kooper, all of whom were the light of his life. He had two brothers and two sisters. Ken served his country with the U. S. Army including a tour in Europe, two tours to Vietnam, and two assignments at Ft. Carson, Colorado. 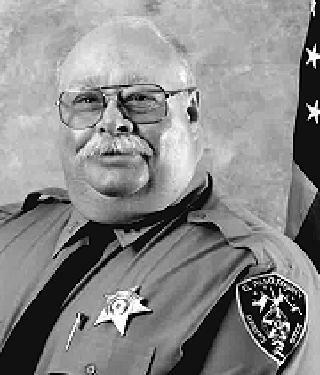 Ken also served his community with 23 years of law enforcement service at the El Paso County Sheriff's Office, reaching the rank of Division Commander upon his retirement. Ken was an accomplished oil painter and enjoyed golf, fishing, traveling, and people. Visitation will be held between 4:00 - 6:00 pm on Monday, February 4, 2019, and funeral services will be held at 10:00 am on Tuesday, February 5, 2019. Both will be conducted at the Memorial Gardens Funeral Home and Cemetery, 3825 Airport Road, Colorado Springs, CO. In lieu of flowers, please make donations to the .